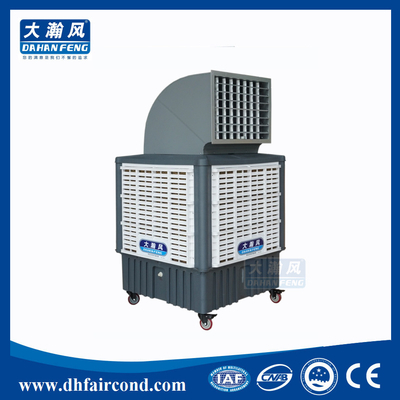 “DHF” evaporative cooler apply to the open and semi open type places, the products can send the natural wind and cool down the temperature directly ,the fresh air from outside leached and cooled down send to inside by the “DHF” air cooler, then vent the rare delicacy, dust and cloudy hot air to outside, at the meantime, the air conditioner with changing of the air ,cooling down the temperature and increase the oxygen content and so on many efficiency, especially apply to the high temperature and crowds massed places. 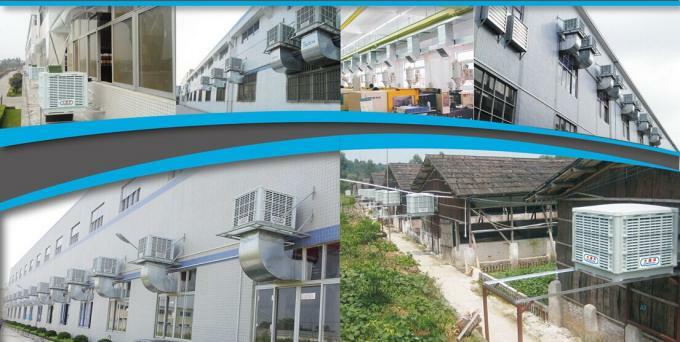 1,Consumed 1.5 degree per hour ,apply to 100-150 ㎡ place for ventilation and cooling down the temperature. 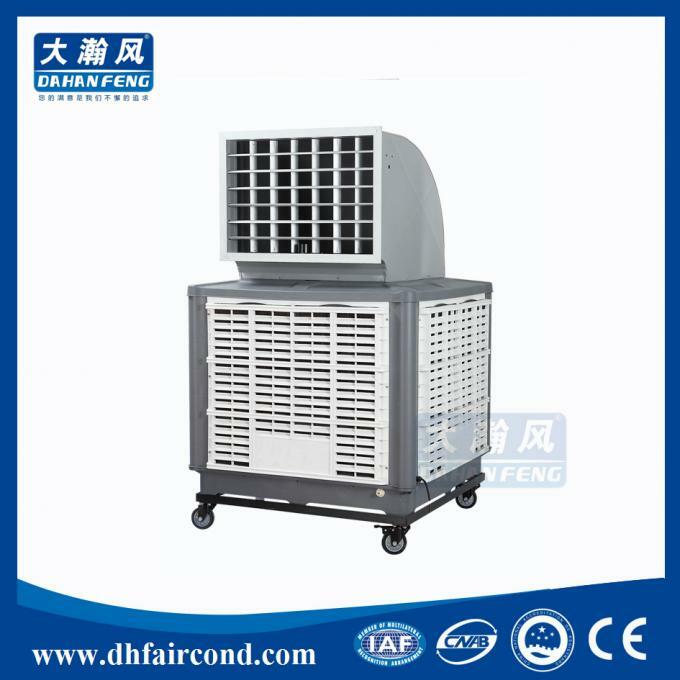 2,With the LCD controller to adjust the 1 to 12 speed . 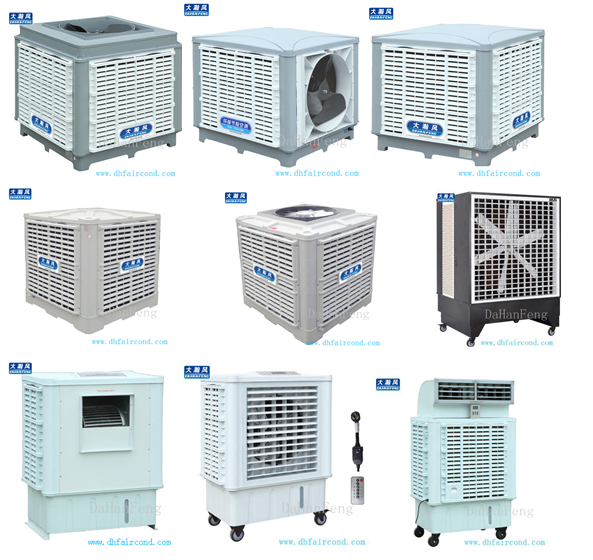 Protect the over-voltage and under voltage, when shot of water it will inlet by auto /chean by manual/ start up and power off by auto. 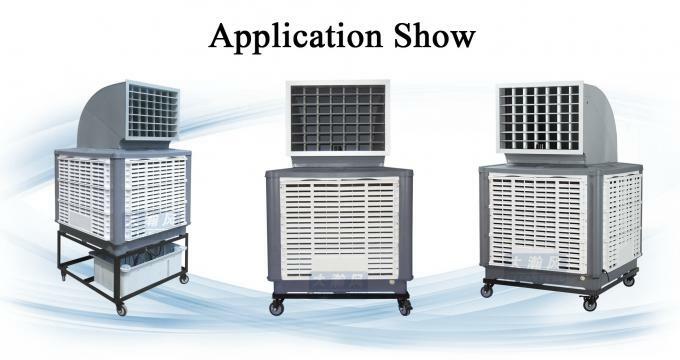 4,With 3 pieces of lower noise nylon leaves then can apply the places which request the lower noise ,9pcses nylon leaves, big air volume , big wind pressure, send wind to 20-25meter directly , but 25-30meter through the pipeline . 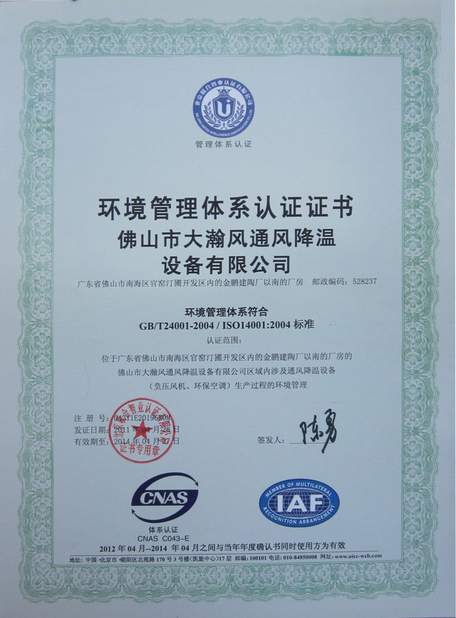 5,Using the new material with the outside frame is pp which can anti-aging, make the products long life time. 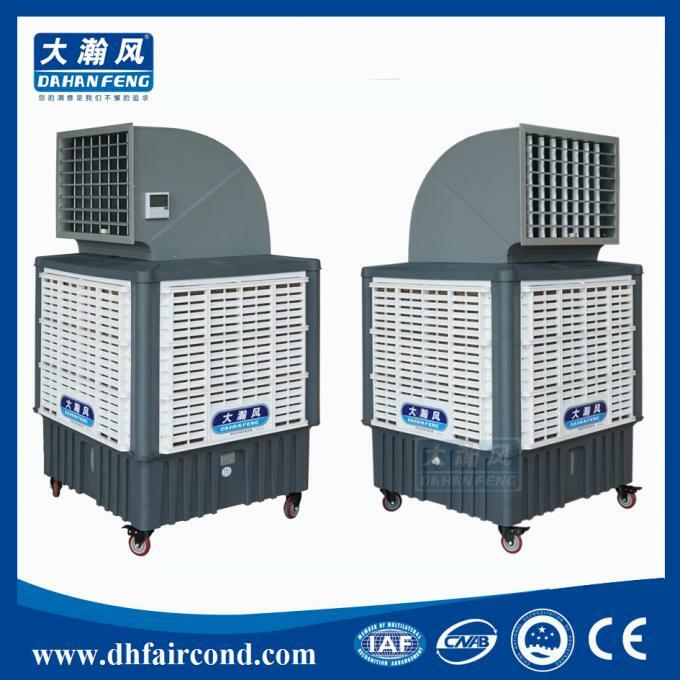 Do not take up interior space, no room, no equipment, central air-conditioning compressor with the traditional systems, less than half of its initial investment. 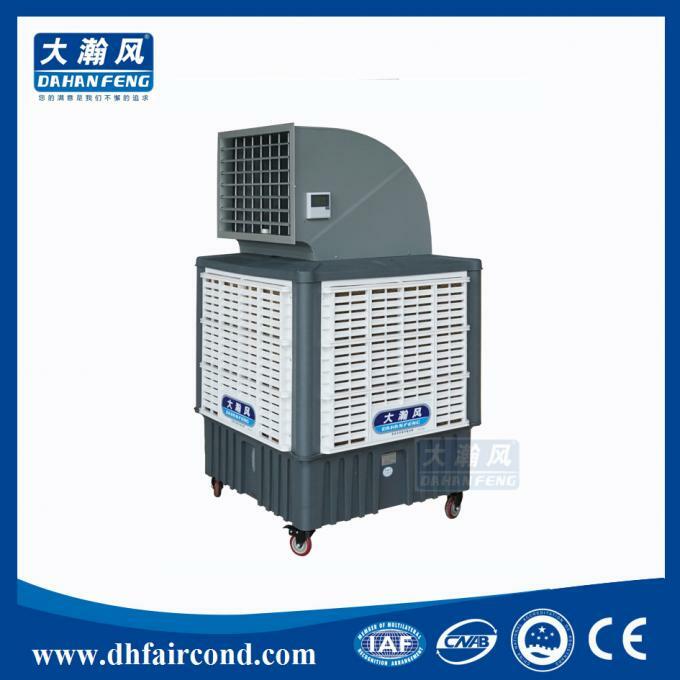 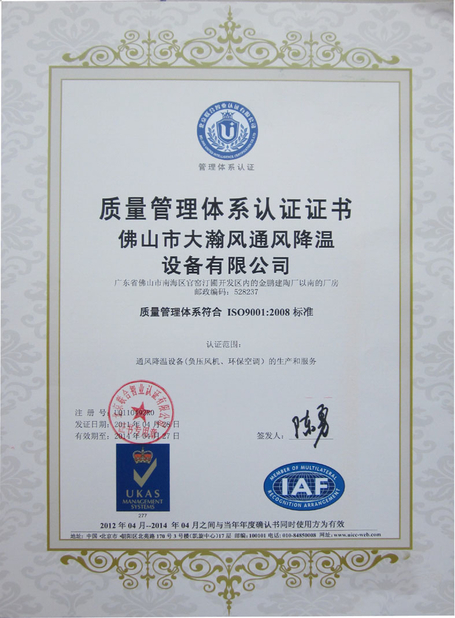 Compared with conventional air conditioning system compressor, power consumption is only the 1 / 8 to 1 / 10. 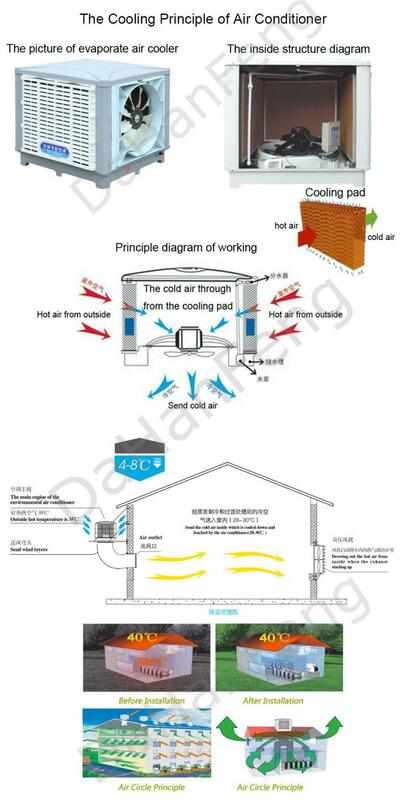 In some high temperature, heat can be fixed place cool air, saving investment, but also for staff to create a comfortable working environment, improve work efficiency. 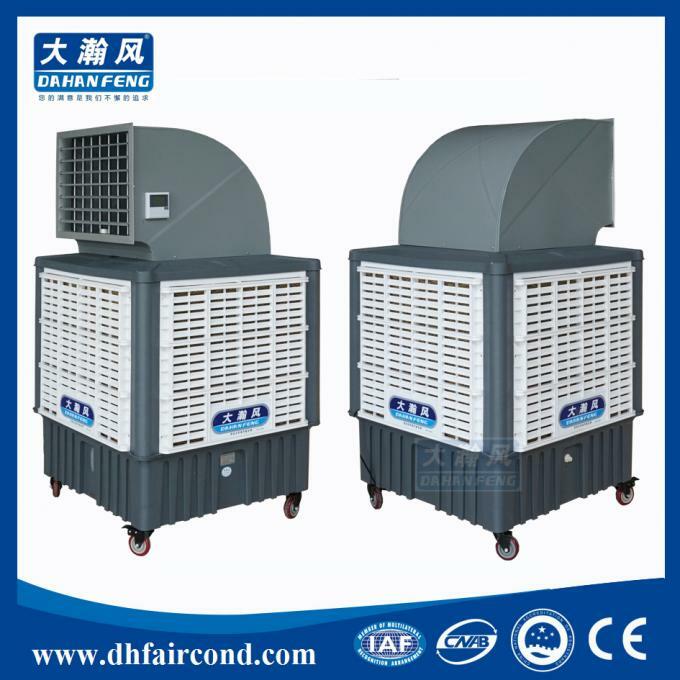 In the more humid areas (such as the South region), generally 5 ~ 8 ℃ to achieve a significant cooling effect; in particularly hot, dry areas (such as the North and Northwest China), cooling rate can reach 10 ~ 15 ℃, and cooling rapidly. Outdoor hot air by the "Great Han Feng" the formation of clean cold air, evaporate cooling, air supply pipe continuously enter the room through the same time a certain area of the doors and windows must be open to the formation of air flow, indoor and always maintain fresh, cool, comfortable environment. In the air is dry areas or sites, to properly adjust the air humidity and improve comfort. 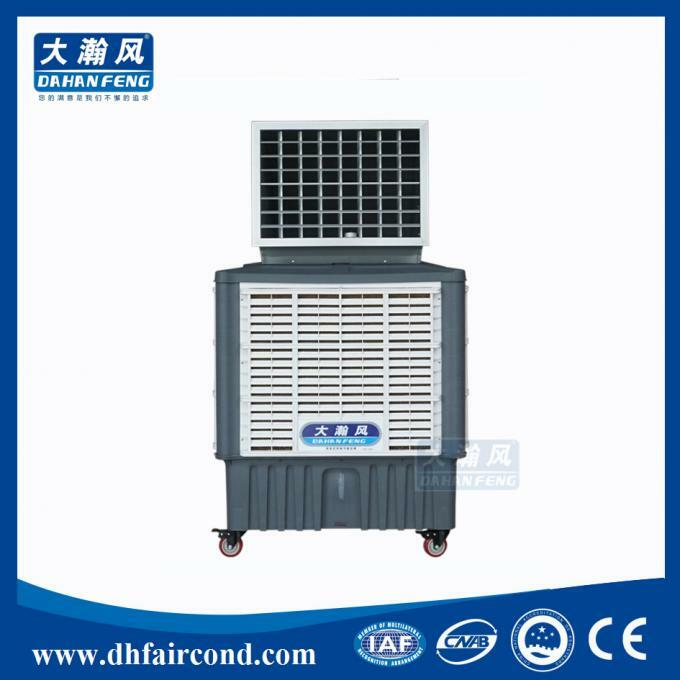 "Great Han Feng" is not environmentally friendly air-conditioning compressor, no Freon refrigerant, no pollution, environmentally friendly products the body does not heat. 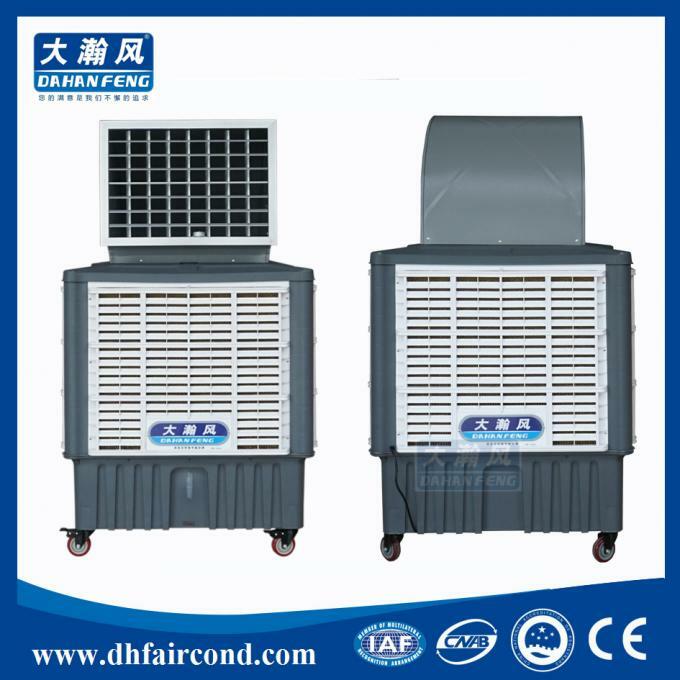 Air flow, vibration, low noise, is currently the lowest domestic and foreign similar products in environmental air-conditioning noise.